You are here: Home / Car Accident / Missing Road Sign – Who is Liable? In many of these cases, the city, state, or federal government may be held liable for injuries resulting from such an accident. Car accidents often happen because drivers fail to follow the road signs. Not adhering to common road signs does lead to car accidents, and when such an accident happens, we are often left thinking, how hard it is to not turn left on a red when there is a clear sign at the intersection telling you to do so. However, it is not always the driver who is to blame for overlooking the signs. There are some instances when road signs are missing. Just imagine yourself in situation when a “no left turn” sign is missing or is obscured by a tree or another obstacle. Such occurrences are more common than you think, and can cause an accident even when the driver is being careful and following all traffic rules to the best of his/her knowledge. If you or a loved one have been involved in a serious car crash due to a missing road sign, you may be wondering who is liable for the accident. Lack of warnings: Proper signage is important for every danger such as a sharp curve on the road, uneven pavement, narrowed shoulders, construction zones and steep drop-offs. Lack of these warnings can lead to serious crashes. Road spills: Oil or fuel spill is pretty common on roadways. Apart from this, construction crews may spill gravel or sand that can affect traction. Even snow or leaves can cause a vehicle to slide. Failed or obscured signals: Road signs can become unreadable due to vandalism or weather conditions, or traffic signs may become non-operational due to power outage. Poor roadway design: Some highways and roads are dangerous because of the way they are designed. Car accidents can occur as a result of a steep drop, a hill around a bend that affects driver visibility, or a steep drop. Who is Liable for These Types of Auto Accidents? In many of these cases, the city, state, or federal government may be held liable for injuries resulting from such an accident, because they failed to protect the safety of people on the road. 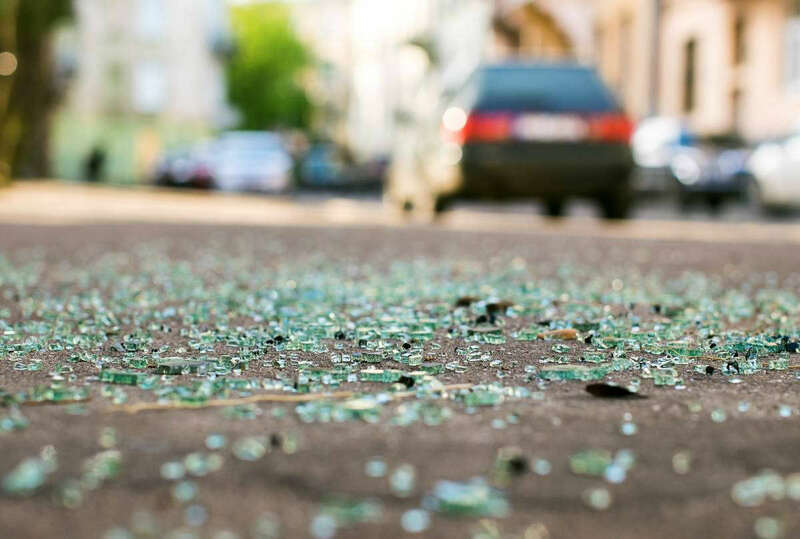 In case a road hazard has been reported, but not repaired or cleared within a reasonable amount of time, the victim may be able to recover compensation for injuries. However, getting the authorities to pay compensation can be very difficult, so it is important to have a competent and experienced St. Louis auto accident attorney on your side. A lawyer will handle the claim on your behalf, and ensure that you are adequately compensated for your losses. If you or a loved one have been involved in a car accident due to a missing road sign or other oversight, contact The Hoffmann Law Firm, L.L.C. by calling (314) 361-4242 or by filling out our online contact form.